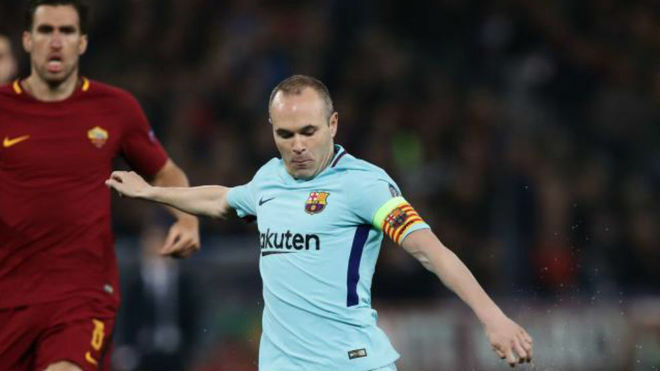 Barcelona will not play another Champions League game this season andAndres Iniesta admitted that he might not play another one in his career. The 3-0 defeat at the hands of Roma means there won’t be a happy ending in Kiev for Iniesta if he does decide to leave Barcelona at the end of this season. “[That this was my last Champions League game] is a possibility and for that reason it hurts even more,” he said when asked if he thought he’d play in the competition again. “It’s a very hurtful elimination because nobody expected it due to the lead we had. “When you do things badly, make lots of mistakes and don’t adapt to the game, this is what happens. Discussing what it was that Roma did so well, Iniesta admitted that they targeted the right areas. “They had it very clear in their minds where to attack us,” he said. Barcelona now turn their focus back to LaLiga, where they host Valencia this weekend.